In celebration of its fourth birthday in London’s West End, The Play That Goes Wrong has announced a West End extension. 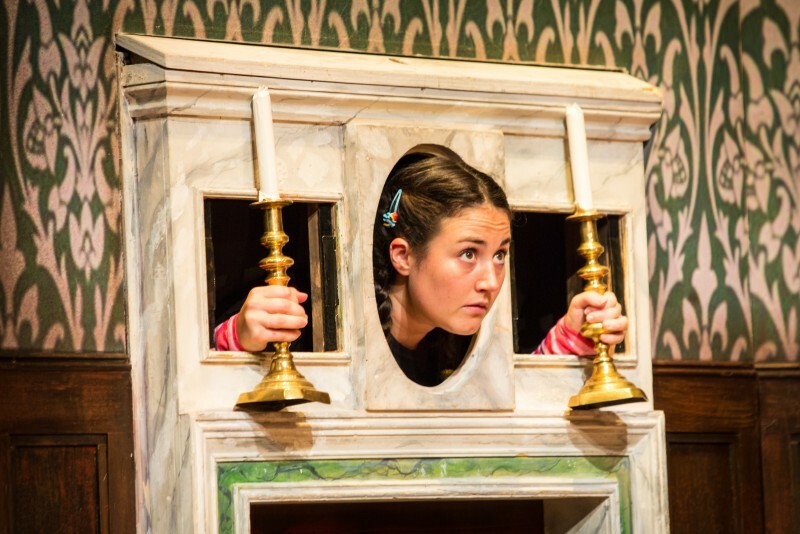 The Play That Goes Wrong has just announced that it will be extending its booking period for its highly successful run at the Duchess Theatre. The show is now booking until 27 October 2019. The critically acclaimed play won the award for Best New Comedy at the 2014 WhatsOnStage Awards and has also won an Olivier and Tony Award, among many others. What originally opened as a London fringe show has now become a major West End production that has been seen by over two million people. Currently starring in The Play That Goes Wrong are Alastair Kirton, Edward Howells, Edward Judge, Graeme Rooney, Jason Callender, Katie Bernstein, Meg Mortell, and Patrick Warner. The Play That Goes Wrong is the brainchild of the same creative team that brought you The Comedy About a Bank Robbery and Peter Pan Goes Wrong, Mischief Theatre Company. The comedy follows the fictional Cornley Polytechnic Drama Society as they try to put on a whodunit murder mystery. If you have not yet seen ‘the play that does everything right’, then what better time than now as it celebrates its fourth anniversary! For the best seats at the Duchess Theatre, be sure to book your tickets early! Purchase your tickets to The Play That Goes Wrong.